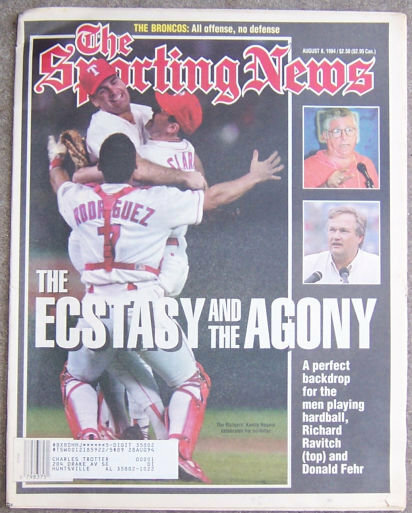 Sporting News August 8, 1994. Kenny Rogers of the Rangers on Cover. Articles include David Kindred, Mike Lupica, Joe Ausanio, Baseball Strike, Denver Broncos, and more. Filled with great sports illustrations and period advertising. Magazine is complete and in good condition, wear at edges.